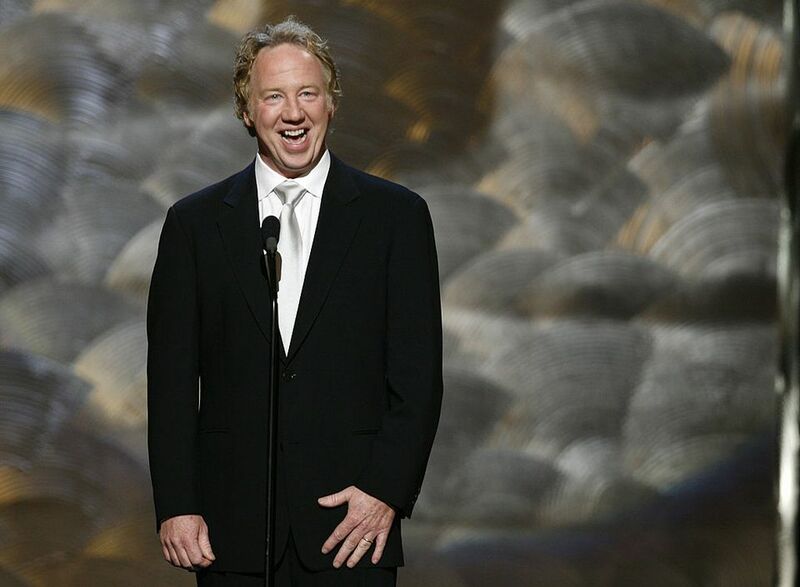 Timothy Busfield has had a non-stop career as an actor and director. He first came on the small screen as a regular on Trapper John, MD. He followed that show with long stints on the acclaimed television programs thirtysomething and West Wing. In between, Busfield hit the big screen in over 30 films, including Revenge of the Nerds and Field of Dreams. Busfield was born in Lansing, Michigan, and made the Midwest his home much of his life. It certainly hasn’t hurt his blossoming career in directing as well as acting. Timothy Busfield sat down at the Field of Dreams 25th Anniversary Celebration to talk about why he completely left California behind to live in Howell, Michigan, and how he told now wife, actress Melissa Gilbert, that she’d have to learn to love the Midwest. Marcia Frost: What does it mean to you to do a movie in the Midwest vs. a Hollywood film? I wasn’t really working in LA, even though I had a place down there where my kids graduated from Malibu High. I was only in LA when I had to work there, so for me, I made Sacramento my home, which felt very Midwestern and not Hollywood, and then I’ve lived now in the Midwest for a few years. My wife loves it and I love it. There are those people who knew me before I was famous, and there’s the altered view of me after I was famous. We feel more safe and comfortable with those who have known us forever because they treat you that way. That’s always been the Midwest for me. MF: Where in Michigan are you? TB: I’m in Howell, Michigan. MF: Where exactly is Howell? TB: It’s between Lansing and Detroit. It’s about 35 miles east of Lansing and about 40 miles west of Detroit. I wanted to be between the two so I could get to the airport in 45 minutes and get to all my greatest friends in 45 minutes. MF: What is your favorite part of living there? TB: The change of seasons. The elements change and allow you a chance to reboot. My fear of melanomas has gone down. MF: When you are looking to go out for an evening, what are your favorite places in Howell? TB: We like to walk downtown. We live in a little town of 9,000 people with restaurants we like. We like Diamond’s Steakhouse and we like Mexicali Allies for Mexican food. We go to the local Coney Dog for breakfast and there are spots that are tried and true. We can go in and grab a steak and a glass of wine. We can walk downtown and nobody bothers us. We live in an 1890 restored Victorian in the sort of downtown grid where most of the houses are from another time. It’s just special for us. I’m now in Wilmington, North Carolina, producing a show, and I just rented us a house down there. She finishes a play in Pennsylvania, Steel Magnolias, and now she’s driving up. It broke all the box office records at the Totem Pole Playhouse and she was just brilliant in it and got great reviews. Now, she’s on her way to Michigan and gets to spend two weeks at home. I’m jealous. MF: What are you currently working on? TB: I’m executive producing a show called Secrets and Lies with Ryan Philippe (which Melissa Gilbert will also be in it). It’s a murder mystery kind of story, based on an Australian series. It’s a really cool script. Juliet Lewis is the main lead in it. Ryan is this year’s lead. If we are able to get to the second year, there’s a new suspect. It’s that kind of show. She’s our Colombo. I’m really excited to work on that. And, I’m playing Ben Franklin on Sleepy Hollow in a recurring role. My third episode is coming up, which, fortunately for me, shoots on the very next stage as our stage, where I’m producing the show. I get to save them money. I’m a local hire so they don’t have to fly me in first class and give me per diem. MF: I saw you on Twitter joking about a “sixtysomething” reunion for “thirtysomething” cast. Is there any chance that might happen? TB: Everybody is there, but me, and Mel (Harris). Kenny (Olin) might be there or he’s close. I think they want to do a reunion shot, but I don’t think there will be a reunion show. I will do anything the group wants to do. It’s not one of those shows where it takes any arm-twisting for us to want to get together and we take off like any great group of friends. What that did for us was it united us together in this sort of f-u mentality and we said we were going to do our work. The expectations went way down in anybody liking it, so we really just did the work. It was the best of both worlds. We all had to be trusting. Trust is very important. When you are teaching young actors trust exercises, you have to trust your cast. That show is so intimate in a way and counted on us playing such natural music together and being so connected together. It didn’t work if you weren’t connected. Having gone through a sort of timeless show like that held on. That people would look at it and put it on lists of the top shows of all time, it bonds you like a rock band, so I would love to get together with them. I’d love to work with Patty (Wettig). I get to work with Kenny because he gets to direct me. He had me naked in my opening entrance of season two of Sleepy Hollow. All I have on is this (motions to groin) covered. It’s a little sock. After all the love scenes I shot at Lipstick Jungle, where I had to ask everybody to strip down to pasties and a sock, I was like, this is karma. I had to drop the robe, and just do it.